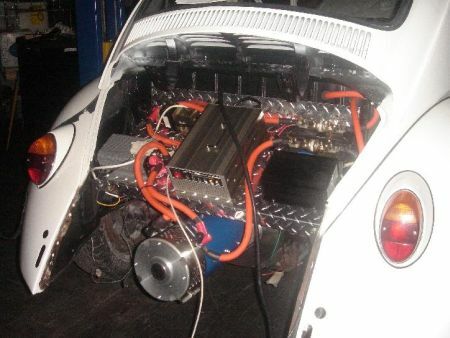 In this post, I am going to talk about the disadvantages of a homemade electric car. But before that, let me tell you what an electric car is and its advantages. To speak frankly, there are no major drawbacks for an electric car. It is not as bad as a golf cart nor does it pollute the environment like a gasoline powered car. The insurance company will be very happy to insure the car and its driver. The officials at the department of motor vehicles won’t even bother to check your vehicle. In regards to the police department, unless you are speeding, they will have no reason to charge you or your car with anything. Your converted electric vehicle (EV) will have more pulling power because the batteries you are using are quite powerful. After a recharge, you will be able to drive 50 – 100 miles with ease. Of course, it depends on the type of battery you use. Then there are other accessories to the car. If you are willing to spend some more money and time, you can upgrade your car with all the safety measures and luxury items. Look for those things at local stores and fit your car with whatever is supposed to be there with an ordinary car. Having converted a conventional car in to EV doesn’t mean that a high quality car will not be of the same quality after the conversion. Sorry, I am supposed to talk about the drawbacks of a converted car but I am talking about its merits. Let us go back to the drawbacks then. 1)	Not available in car dealership. The first drawback of a converted car is that it will not be available at a car dealership. You have to look for specifically for converted cars. Most probably, you will not find a readymade one anywhere and you have to get one built for you or if you are not averse to some physical labor, you can build one yourself. 2)	Absence of credit and finance facilities. 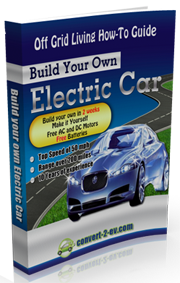 There is no bank or other financial institutions that advance money to convert a car into an electric car. All the expenses of the conversion have to be borne by yourself and sometimes people find it extremely difficult to find money to carry out the conversion. If you think of factory made electric cars or gasoline driven cars, there is credit available from many finance companies. So this is really a drawback of converted cars. 3)	Quality and standard of your EV. It is true that all converted cars will not have the same quality or standard. The quality depends on the donor car you use and the battery and other accessories. The quality also varies from person to person who converts the car into electric cars. If the conversion is carried out by professionally qualified people like electrical engineers, the converted car will have quality. 4)	Absence of repair facilities. Since there are very few converted electric cars, there aren’t many workshops where you can get your converted car repaired. Most workshops repair pure electric cars or gasoline cars. In case something goes wrong with your converted car, you have to get it fixed by yourself or the one who did the conversion has to fix it. This is a drawback indeed. But luckily, there isn’t any need for any repair because things go wrong very seldom for converted cars. 5)	Only small vehicles can be converted. It is true that all vehicles cannot be converted according to everybody’s wishes. The donor car has to be lightweight and aerodynamic but strong and spacious enough to accommodate the bulky battery. If the battery can be accommodated outside, that will be safer. Finally, if you need an electric car that can function better than the factory produced electric cars, conversion is the only way out. Before you begin your conversion project, check out the Convert2EV ebook by Les and Jane Oke. The Okes live a green lifestyle in Canada and one way of keeping their carbon footprint small is by using pure electric car. The Convert2EV manual was written based on their experience of retrofitting old gas guzzler into electric vehicle.